Volume One was published in 2014; volume Two in 2016; Volume Three, the final volume, is scheduled for 2018. Dolf te Velde (ed.). et al. 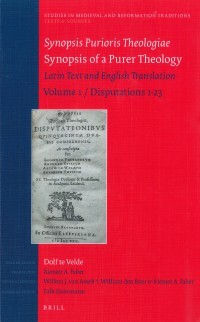 Synopsis Purioris Theologiae / Synopsis of a Purer Theology: Latin Text and English Translation. Vol. 1, Disputations 1-23. Translated by Riemer A Faber. Studies in Medieval and Reformation Traditions 187; Text and Sources, 5. Leiden: Brill, 2014. 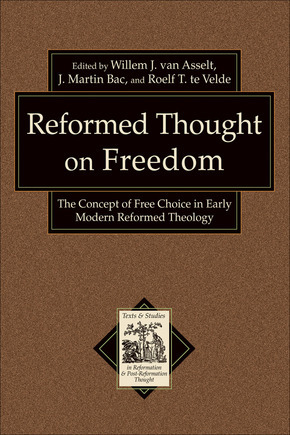 Reformed Thought on Freedom begins with an introductory discussion of free choice and the Reformed tradition and then moves on to examine the concept of freedom in the work of six early modern Reformers. 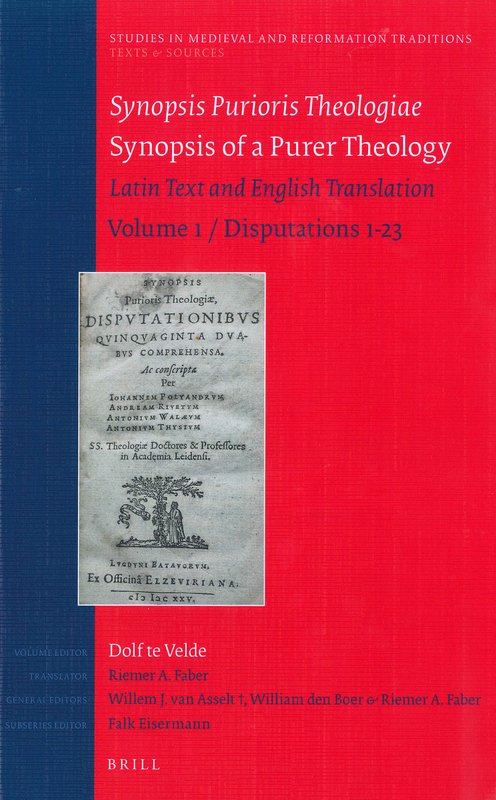 It fills a significant gap in Reformed knowledge by presenting sources in translation and commentary on works of major importance to the Protestant tradition that have been neglected for centuries. This book makes a major contribution to historical scholarship on the problem of free choice and to contemporary debates over determinism and divine foreknowledge of future events. In recent debates on these subjects, Protestant and evangelical philosophers and theologians have argued about modern issues, but they have often misunderstood or dismissed the past–specifically, older Calvinism. 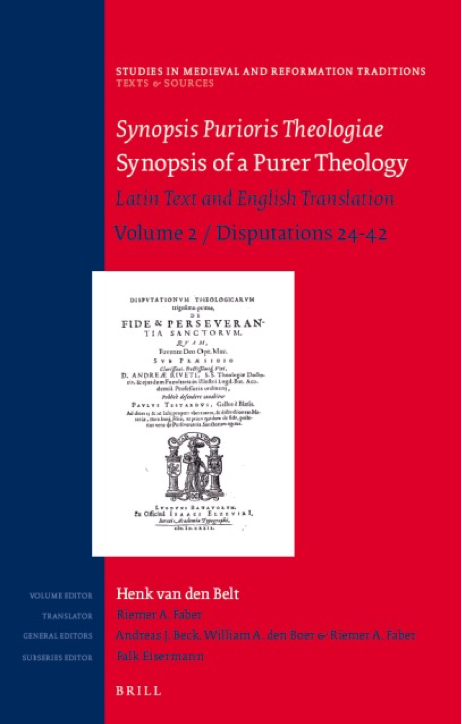 This volume shows the philosophical sophistication of the older Calvinist or Reformed position, particularly its positive assessment of the issue of human free choice. The contributors demonstrate that traditional Calvinism cannot be easily dismissed as a form of philosophical determinism. 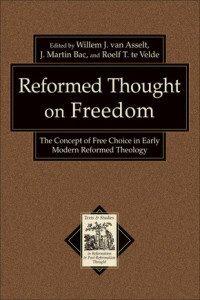 Reformed Thought on Freedom will be valued by Reformation scholars, professors and students, and research and theological libraries. Reformation and Post-Reformation Thought. Grand Rapids: Baker Academic, 2010. You can order the book directly from the publisher’s website. 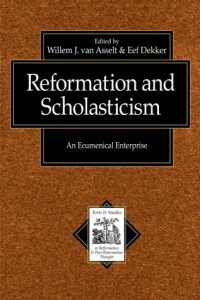 Historical theologians have commonly held that no close connection exists between the two major intellectual movements of the sixteenth century-Reformation and Calvinist Scholasticism. Recent scholarship, however, has brought to light a number of theological misconceptions and historical inaccuracies, leading some researchers to claim that Calvinist Scholasticism is not a betrayal but a continuation of the Reformation heritage. This book brings together papers presented during a colloquium held Utrecht University by thirteen highly respected European and American church historians. These essays focus on both the backward-looking relationship between the Reformation and Medieval Scholasticism and the forward-looking relationship between the Reformation and Protestant Scholasticism. Willem J. van Asselt and Eef Dekker. Reformation and Scholasticism: An Ecumenical Enterprise. Grand Rapids, MI: Baker Academic, 2001. Unfortunately, this book is out of print. 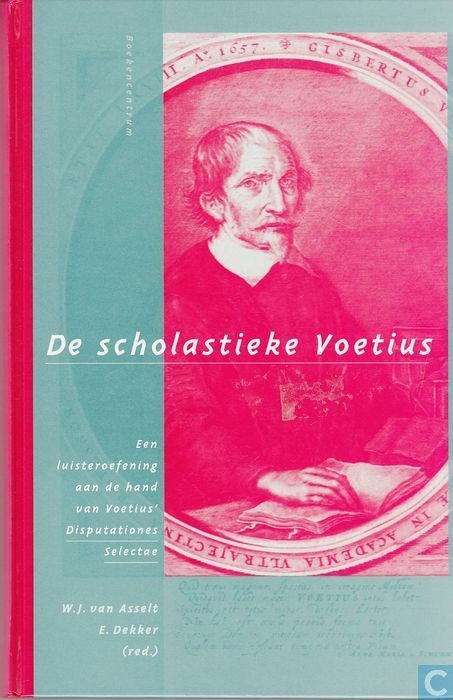 Gisbertus Voetius (1589-1676) is vooral bekend als vertegenwoordiger van de Nadere Reformatie, een stroming die een schat aan praktische literatuur heeft opgeleverd, ook van de hand van Voetius. Minder bekend is dat dezelfde Voetius daarnaast een van de beste beoefenaars van de systematische theologie is geweest. ‘De scholastieke Voetius’ geeft een vertaling en uitleg van in het Latijn gestelde disputatieteksten van deze theoloog. In deze disputaties klopt het systematische hart van de gereformeerde theologie. Vanuit het fenomeen ‘scholastiek’, wat niet hetzelfde is als ‘ouderwets’ maar staat voor een precieze en wetenschappelijk verantwoorde manier van theologiseren, proberen vertalers en commentatoren deze authentieke teksten opnieuw te laten klinken. De thema’s lopen van Gods kennis en wil via zijn almacht en de verdienste van Christus tot de praktijk van het geloof. Met deze uitgave wordt Voetius’ denken voor het eerst voor een breder publiek toegankelijk gemaakt. Willem J. van Asselt and Eef Dekker. De scholastieke Voetius: een luisteroefening aan de hand van Voetius’ Disputationes Selectae. Zoetermeer: Boekencentrum, 1995.